Why Network When You Can Share? Do you hate networking? I understand if you do. Since the start of my corporate career, I have dreaded nothing more than filler conversations with people I don’t know in spaces I am not familiar with, collecting business cards from them to add to my LinkedIn profile and only to end up never talking to them again. I don’t do it anymore. There are articles out there that teach the art of schmoozing, I am asking you to ignore those and instead focus on interests, and on interactions. Focus on building your community. Once you do that, you go from “networking” to actually building relationships. Whether you consider yourself an introvert or an extrovert, this is something anyone can do. Let’s take conferences, for example. If you are at a conference, the best way to start a true interaction with someone is to share something. Among other things, talk about what you are hoping to learn, what you are working on and what you are passionate about. Just don’t get into the typical “who are you” line of questioning. That’s what name badges are for. Conferences can actually make sharing via interaction easier because most conferences have a theme or program that brings people with similar mindsets together. Regardless of whether you are a mighty IT team of one person or belong to an IT team of over 100 people, you have a chance to make a connection with someone with similar interests who might be able to provide you with ideas or advice and vice versa. It’s much better to have a couple of connections you know you will be in contact with after the conference instead of 40 connections that you have no plans to follow up with. MISA Ontario provides great opportunities for our municipal members to connect with each other. This year we are holding our annual conference in the City of Hamilton from June 3 - 6. This year’s theme is Ambitious Communities, with energetic solutions, aspiring people and industrious thinking. There will be an excellent mix of keynote speeches, round table discussions, meet-ups, birds of a feather, tech talk and panel sessions. In August, we will hold our annual golf day, followed by our annual InfoSec Conference in the City of Stratford this October. It is highly recommended those involved in security attend. In November, we will hold our Partner Appreciation Lunch where municipalities connect with each other and the vendor community. When we are not holding events, we encourage our members to continue the conversation online with our newly launched secure communications tool, SocialLink. Members can join groups, share feeds, and ask and answer questions from the entire MISA community including our B.C., Prairies and Atlantic chapters. 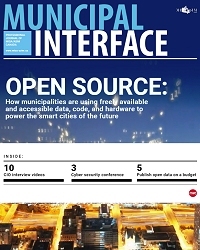 We also have our newly launched directory Infobase where municipalities can look at the technology their colleagues are utilizing in their organizations and connect with them directly. There are plenty of opportunities to build your connections. Why not start today? Jacqueline O’Hara is the Community Manager for MISA Ontario. MISA Ontario is a strong member association comprising municipalities, vendors, partners and other orders of government who are interested in furthering and improving the use of technology in municipal government.